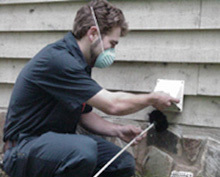 The Mad Hatter Air Duct Cleaning & Chimney Sweep Company specializes in Air Duct and Dryer Vent Cleaning throughout the Metro Atlanta Area. 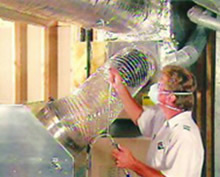 We offer air duct cleaning, filtration upgrades, and dryer vent cleaning. The Mad Hatter is certified by the National Air Duct Cleaners Association (NADCA) and has a NADCA Air Systems Cleaning Specialist on staff. All of our employees pride themselves by wearing clean uniforms and drive company branded vehicles. The Mad Hatter was founded in 1978 by the Sparks family and began cleaning Atlanta air ducts in 1989. Kevin Sparks, President, has been in the business since he was 14, when he began helping his father at their air duct cleaning and chimney company.